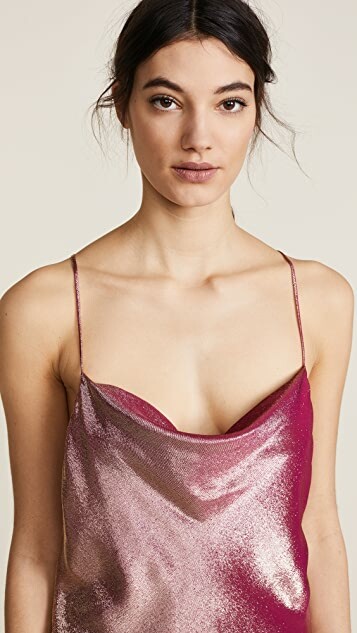 For a statement-making take on the metallic trend, look no further than this shimmering HANEY dress. 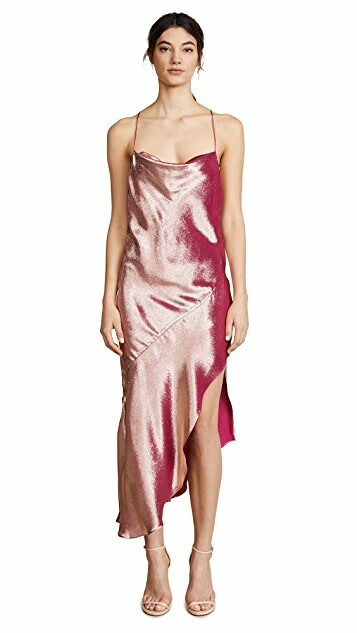 With a liquid-like draped silhouette and glossy, glittering finish, this dress is a no-holds-barred stunner. Ready-to-wear label HANEY launched in 2013 by former celebrity stylist and fashion editor, Mary Alice Haney. A womenswear collection that cohesively blends casual glamour with high fashion, HANEY apparel is designed with acute attention to tailoring and classic silhouettes. The label’s design ethos is to create classic, yet feminine pieces from the highest quality fabrics. HANEY clothing is inspired, designed, and made in Los Angeles.